In order to acquire your own domain name you must go to a registrar like GoDaddy and pay the annual registration fee to become the registrant of that domain name, but how then to point that name where you want it to go? Besides being just a catchy name that people can easily remember, what makes a domain name valuable is the content or service behind it, and MobileMe is a good repository for that content, especially for those who are already subscribers to the service. 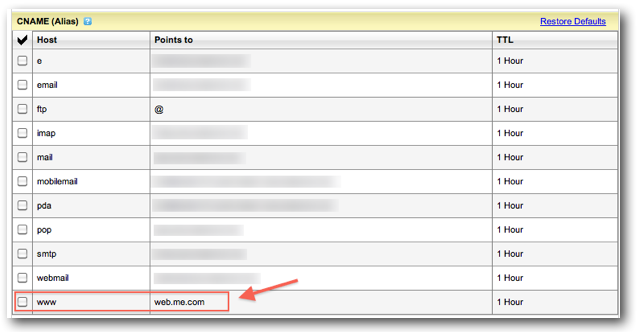 Here’s how to connect your GoDaddy-registered name to your MobileMe site. 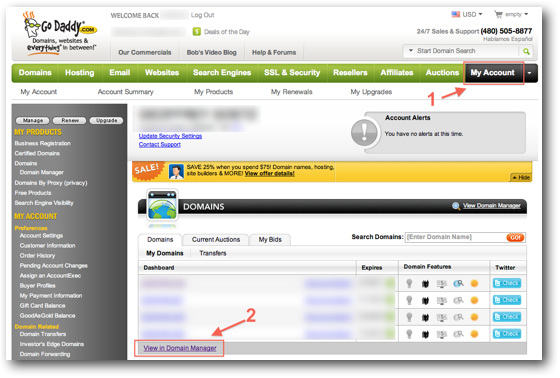 At this point, your GoDaddy domain name, www.ggeoffre.com for example, is just another name or alias for web.me.com. MobileMe will take care of routing the incoming request for www.ggeoffre.com to your MobileMe account’s web site. In the example above, ggeoffre.com will be forwarded to www.ggeoffre.com which again is just an alias for web.me.com. 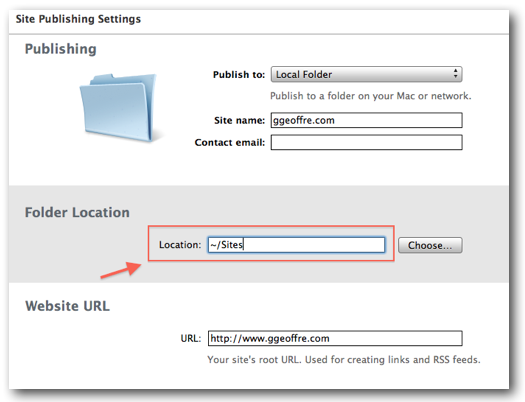 So now both ggeoffre.com and www.ggeoffre.com will each be directed to the appropriate web content hosted on MobileMe. Internally, iWeb has its own idea of what a ‘Site’ is. This iWeb ‘Site’ is not a separately hosted location to which you can register a unique domain name to. Each ‘Site’ created in iWeb will become a separate folder of your root domain name. Trying to create something like a “ggeoffre.com” ‘Site’ within iWeb, the resulting URL will actually be more like “http://www.ggeoffre.com/ggeoffre.com/home.html”. To resolve this, you basically must stop using the convenience feature to publish directly to MobileMe. Instead you need to publish to a local directory on your Mac. At this point you can then elect to promote or copy the individual ‘Site’ content that you created with iWeb to MobileMe, not the entire contents generated by publishing from iWeb. I like publishing content to my Mac user account’s local ~/Sites folder so that I can test the site out before promoting it to MobileMe. All you then need to do is replace the MobileMe content located in your iDisk’s /Web/Sites folder, with the content you published from iWeb in may case located in my user accounts ~/Sites folder. Move all content on your iDisks’s /Web/Sites folder to the Trash. Copy the contents of your locally published ~/Sites folder to your iDisk’s /Web/Sites folder. Now you have a unique domain name of your choosing that anyone can use to access the content you create in iWeb and publish (via a partial copy) to MobileMe. And by following the technique outlined above, it will behave exactly the way you likely expect it should.